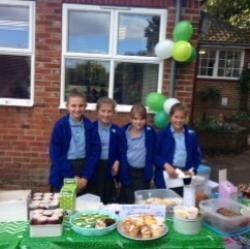 We’ve had a couple of fundraising cake sales recently in aid of MacMillan Cancer Support and DEBRA. An impressive amount was raised. £430 for MacMillan and £289 for DEBRA. A special thank you to those of you who donated cakes for the sale and a huge well done to the Year 6 children who sold them.